If you’re living in a rather compact apartment, it’s can be pretty important to make the most out of every small bit of space you can find. 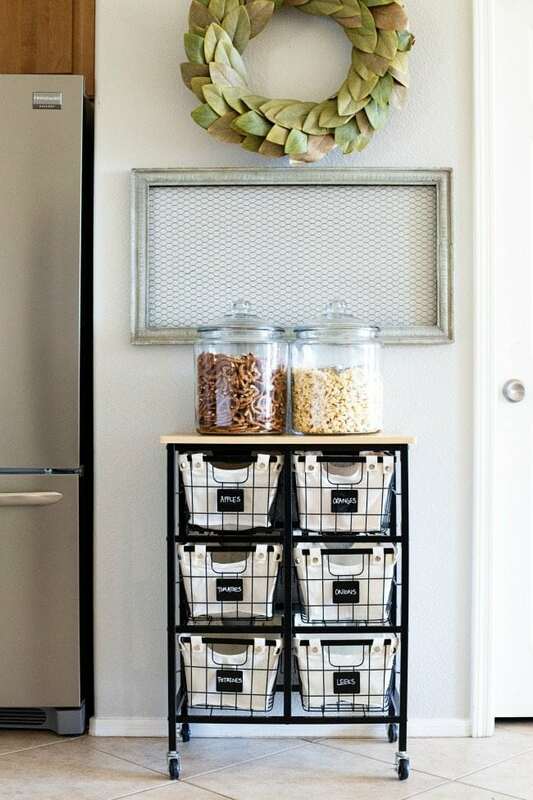 You’d be surprised how easy it is to use parts of the wall or the floor to save space and help organize your apartment. Of course, you don’t want everything to look too packed as well – but there definitely are some great and practical ideas out there that’ll help you make the most out of every inch in your apartment. 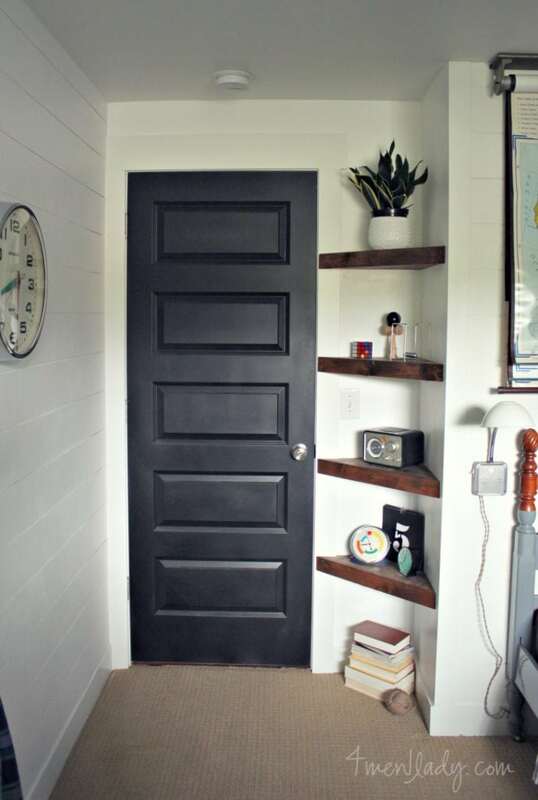 There’ s a ton of empty space near the ceiling and above your doors, so why not make the most of it? 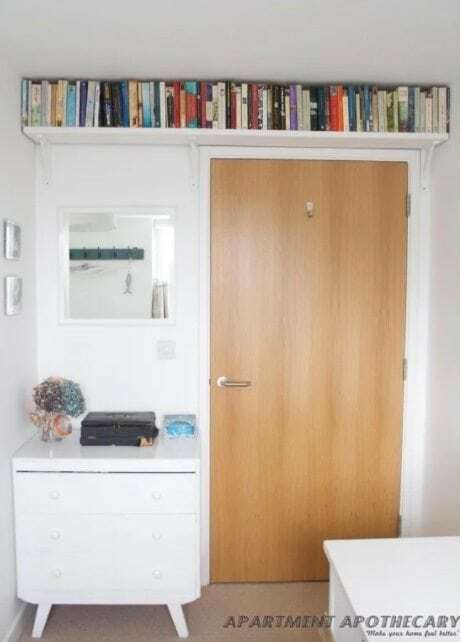 Just by hanging a very simple shelf, you can store a plethora of books or decorations with no impact on the rest of your apartment whatsoever. Because of the way they’re designed, refrigerators will almost always have some additional space near the wall that’s left unused. 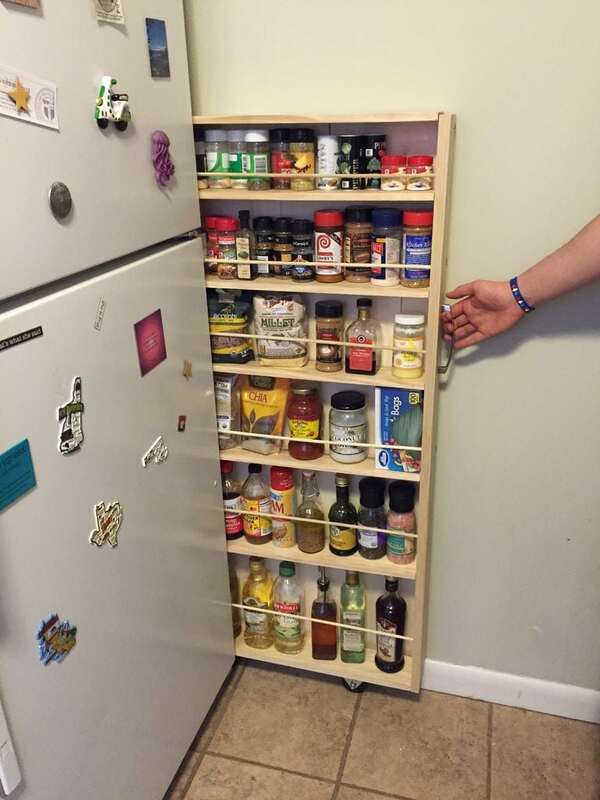 Using a slide-out storage rack – which you can build yourself if you want to – to place all kinds of items that are essential in the kitchen but don’t need to be cooled is absolutely genius. Making your apartment feel and look more spacious is definitely an option to consider as well. 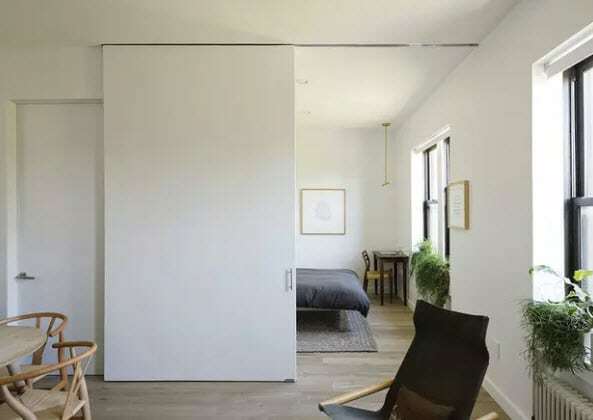 This apartment in Brooklyn, for example, uses large and wide sliding doors (or sliding walls, depending on how you’d like to call them) which immediately gives the place a more open and larger impression. Perhaps your fridge isn’t positioned between two walls. If that’s the case, you might want to consider hanging an extra shelf on the exposed side of the fridge. 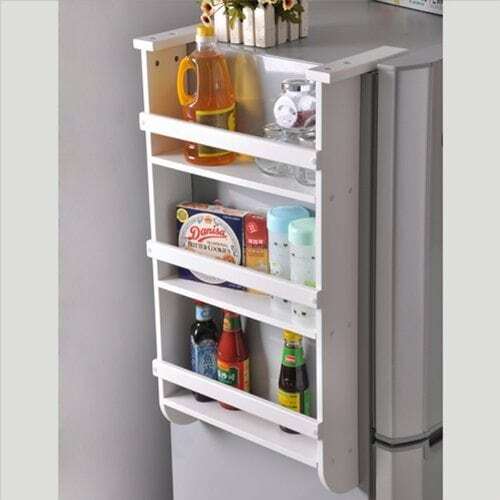 It looks great, gets rid of the dull refrigerator look and saves you some space. Magnets are a wonderful thing, and there are plenty of ways you can use them to make your life easier and less cluttered. 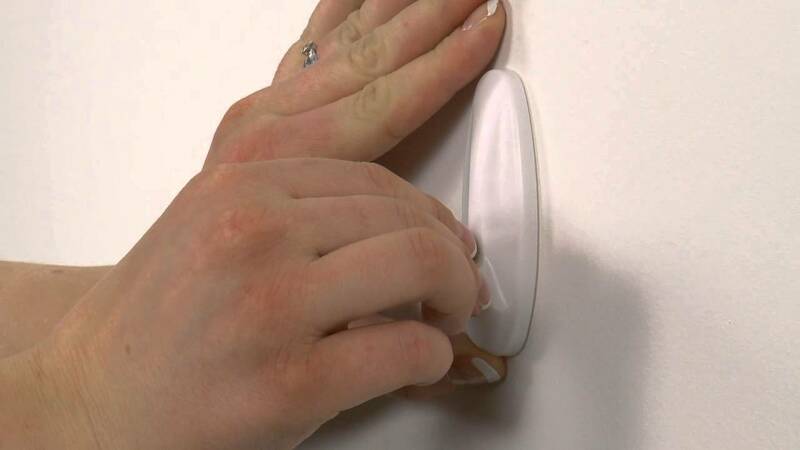 For example, you can simply install a metal piece that’ll hang under a shelf and purchase or create magnetized lids. Simply pop them up on the shelf when you want to store your jars away and you’ll free up much-needed space for other necessities. Admittedly, many of the earlier storage beds – which have a liftable compartment to hold a bunch of items – didn’t really look aesthetically pleasing. However, recent designs have definitely improved, and now they’re practically indistinguishable from ‘normal’ beds. 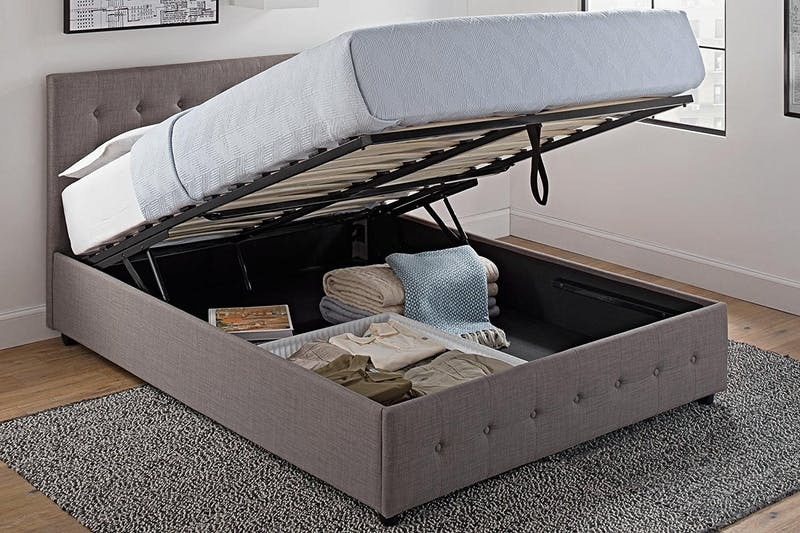 In other words, aside from the slightly higher purchase price – there really isn’t a reason not to get a storage bed anymore. These type of organizers are often seen in workspaces or kitchens, but they can be used for some additional storage at the bedside as well! 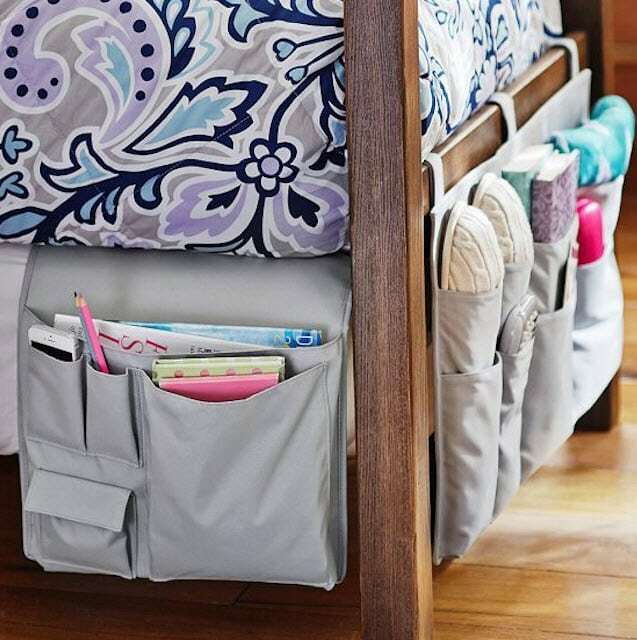 A perfect solution to store your slippers, nighttime books or other items when you’re not using them. Hanging shoe organizers might look a little silly, but you can cleverly hide them by hanging them on the inside of a door closet. 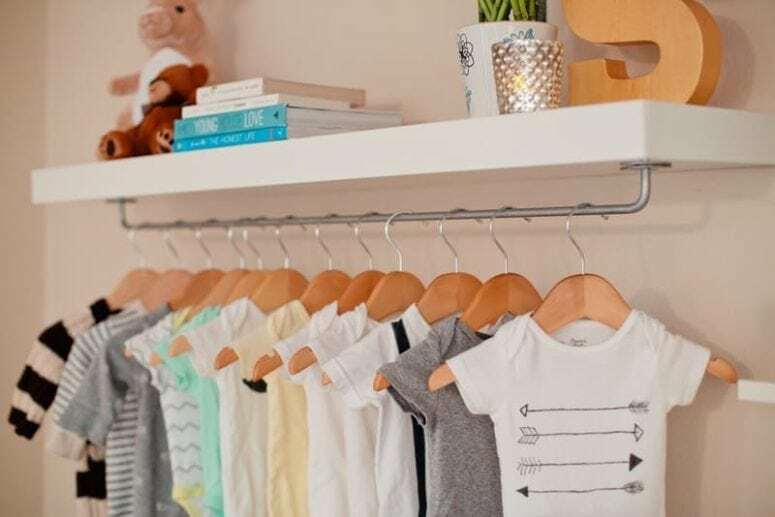 Aside from shoes, it turns out that these are also ideal to store all kinds of household products such as cleaning products, towels, and much more. There are plenty of ways to increase the amount of space you can use in the bedroom, and a multifunctional headboard such as this one is a perfect example of that. They feature extra shelves and you can often slide them out and hide them back whenever you don’t need them. You could always just throw towels on the rack, but adding a simple S-hook can clean up the bathroom in a formidable way. It’s definitely one of the more simple things to do in this list – but it works and it’s as easy as 1-2-3. 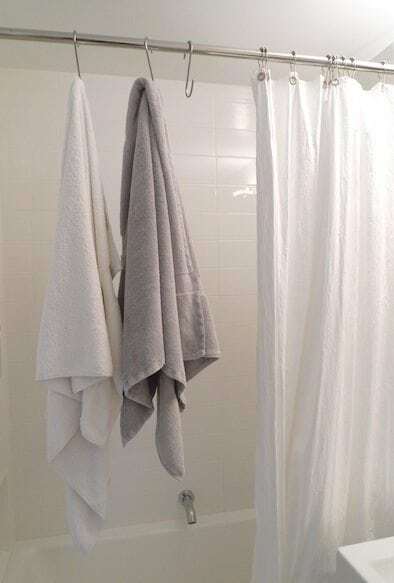 Just hang some S-hooks on your shower rod, and you’re done! The concept of floating shelves is just amazing: they have a very minimalistic look and they save you a bunch of space. You most likely weren’t using the corner anyway and having some new place to put stuff on always comes in handy. Unfortunately, sometimes there just isn’t any room for a dishwasher in a smaller apartment. 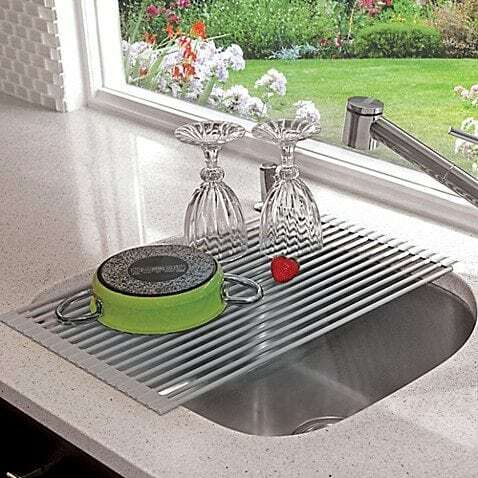 Doing it all by hand can take up some precious space on the counter, so buying a roll-up drying rack that you can fit over your sink is a great solution. Cabinets can hold a lot of stuff – but it’s no secret that a significant amount of cabinet room doesn’t get used. 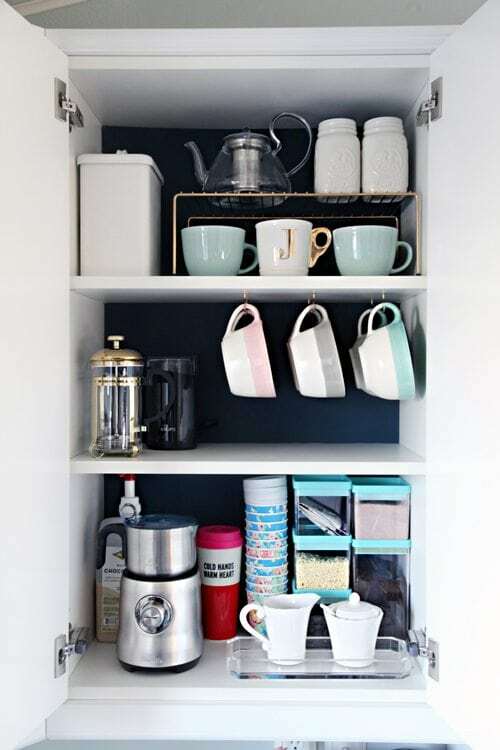 The perfect way to solve that is by adding hooks for cups, and you can also use smaller racks to stack multiple smaller items on top of each other. This great idea shines in its simplicity. Instead of having your shoes collect dust on the floor – where it’s likely that they’re going to get in the way – let your kicks just ‘float’ in the air by using shoe pegs. 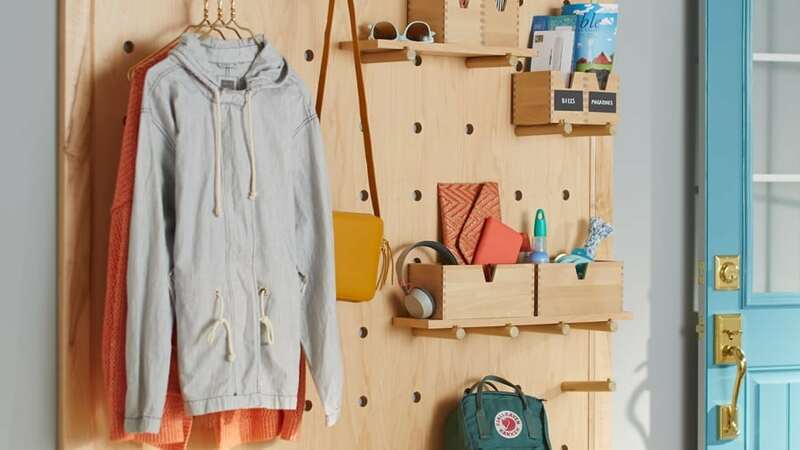 If you thought that pegboards should only be housed in garages and working rooms, think again. 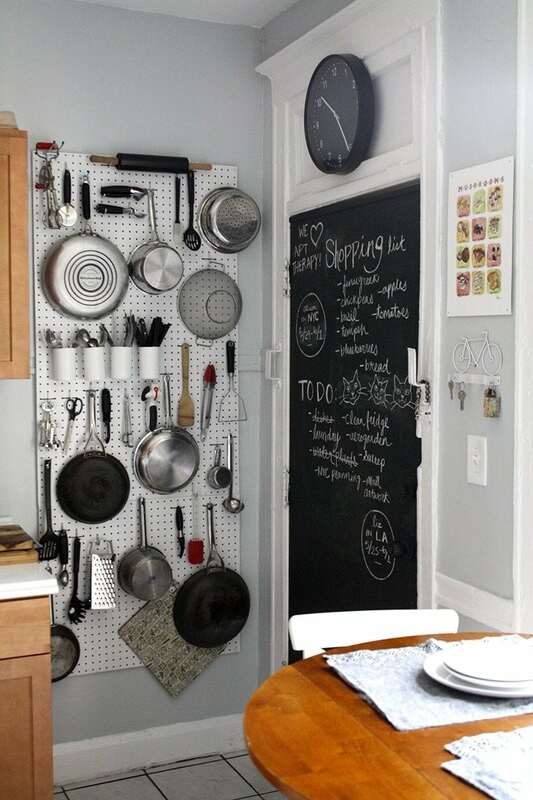 Hanging a pegboard in the kitchen is just ideal if you’re running low on cabinet space. Plus, it gives the kitchen a unique and cool look. That sounds like a win-win, doesn’t it? 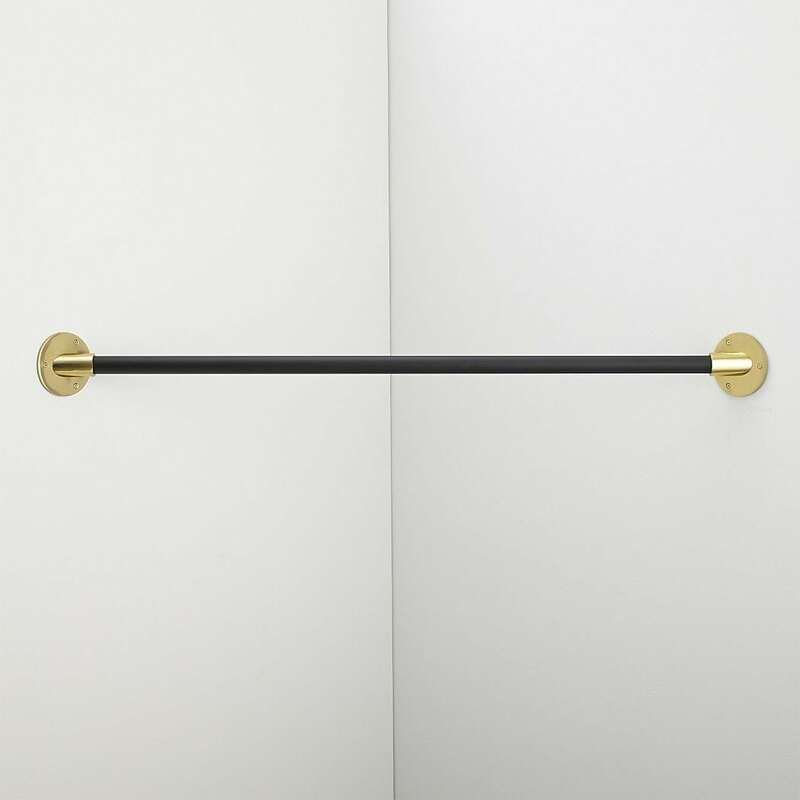 Let’s face it – the space in bathroom closets often isn’t used efficiently. The fine designers at IKEA came up with a great idea: a cupboard with multiple locker-like compartments. 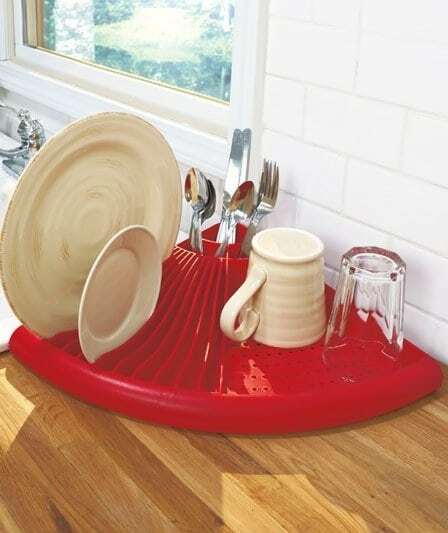 It’s absolutely ideal for all sorts of different items and eliminates wasted space. Ah, batteries. 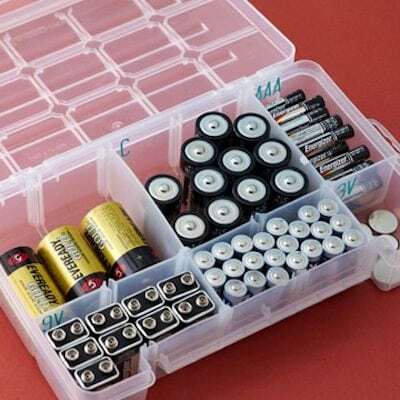 It’s usually when you need them the most that you can’t find any of them laying around, but you can purchase special organizer boxes with adjustable compartments that allow you to store and separate all of the loose batteries you’ve got laying around in the house. If you’ve got room to spare underneath your bed, rolling bins are an absolute life- and space-saver. You can find them in a bunch of different sizes and designs, and they even look great when they’re stored away. Chef’s carts don’t only look great and fit into every kitchen, but they’re flexible and can serve multiple purposes as well. Use them for extra storage, or perhaps you need some extra counter space from time to time? A chef’s cart is the ideal solution. Sometimes, you just can’t hang things on a wall – but what if you could repurpose an old ladder that could do the trick? Aside from saving space, it’s also a very unique look and gives your apartment some more space and as well as a cozy feeling. 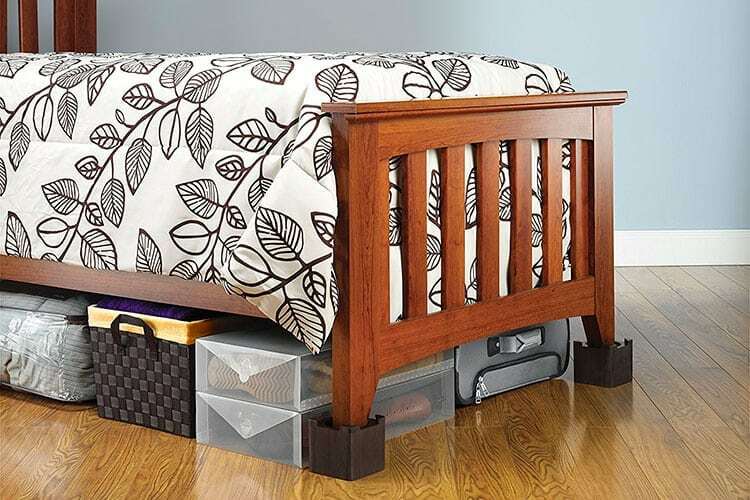 In some cases, you just have a tad of room under the bed, but not enough to store some storage boxes. The solution is simple: grab two pairs of risers and they’ll give you plenty of extra height to store all of those boxes. 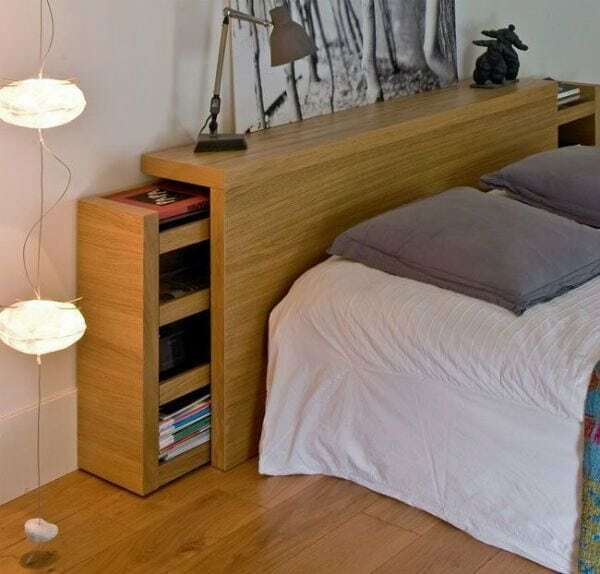 Tip: buy a bed skirt as well to hide the storage boxes. If you’re not too fond of the idea of having floating shelves in a corner, or if you just need some extra space for your clothes instead, you can always add a bar between two walls. Perfect for hanging and storing your clothes! Hanging closets often have just a little bit extra space at the back, and you might as well make the most of it. Grab a couple of command hooks to store all kinds of items such as heavier clothing, belts, purses or other accessories. Floating furniture seems like it’s becoming more and more popular, and for good reason. You can free up a whole bunch of vertical space, which also immediately gives the impression and illusion of a larger room. 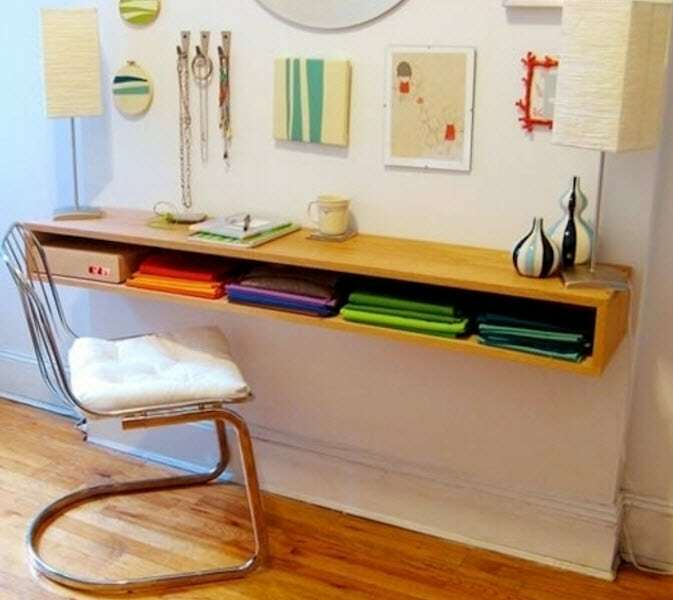 A floating, wall-mounted desk is just absolutely perfect if all you need in a desk is a spot to put your laptop on. 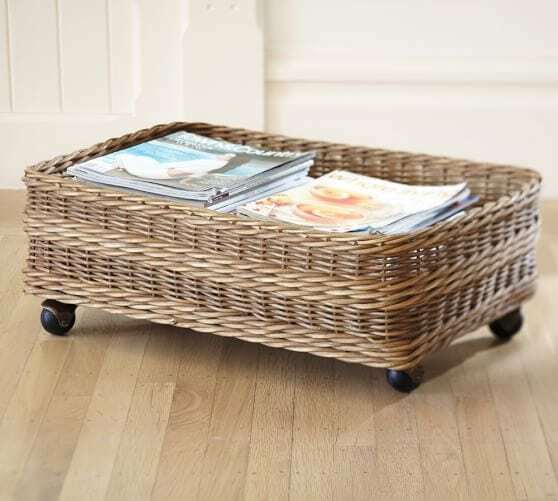 Baskets are a great match to use with bookshelves. You can often find the perfect fit, and they’re ideal to store all of those smaller items that would otherwise be collecting dust and laying around in random places. Another pro is that they’re easily accessible! 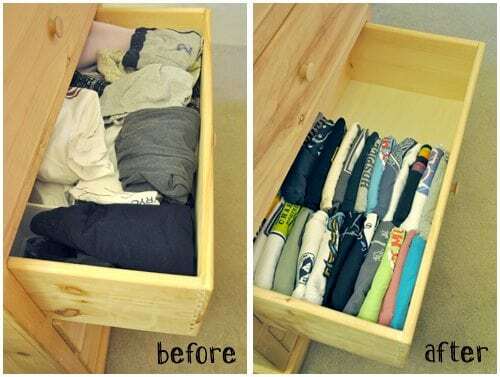 It’s amazing how much room you can save just by folding your clothes in a different manner and storing them more efficiently. There’s a simple folding trick you can use that can save you half of the shelf space, check out the full guide at Darkroom and Dearly for this space-saving lifehack. If you’re a fan of putting things together, this DIY tip is for you. With a ceiling hook, a bit of cord, wooden beads and some wooden hangers in hand, you can create your own hanging coat rack. 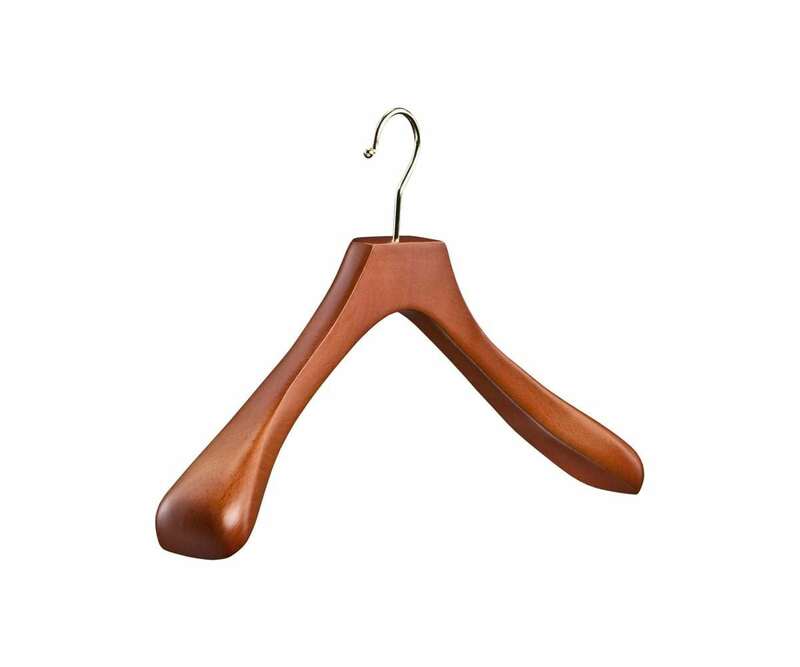 Get rid of the metal hook on the hangers, and let the cord run right through the bead and the hanger. Simply tie the knot and hang it on the ceiling hook. Aside from the kitchen, a pegboard also blends in perfectly in a bedroom! It’s best to choose a wooden pegboard with sticks instead of hooks, to give the whole thing a more creative and cozy feeling. 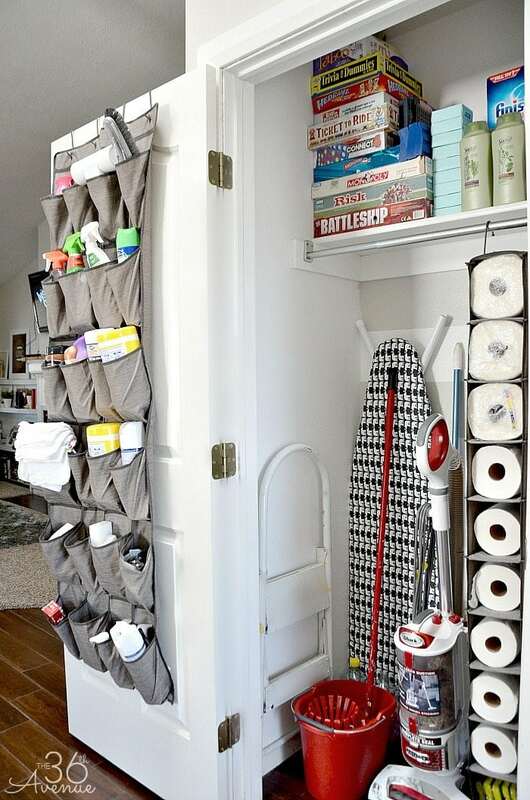 The perfect method to use a free wall and use it to store a variety of items. 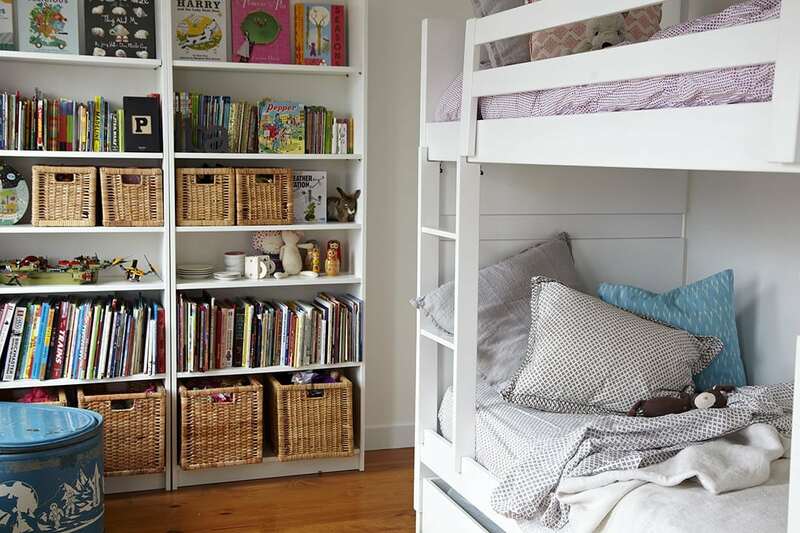 It also looks great in children’s rooms! Let’s face it – a coffee table is essential in every household, but what if you could combine the purpose of a coffee table with that of some additional storage space? 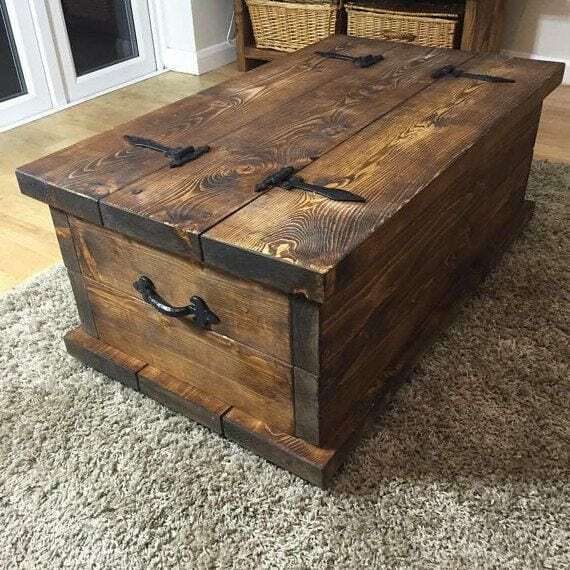 For example, an old chest has an amazing look, can hold a ton of items and is a great substitute for a coffee table. What better way to use some space below shelves by adding a large bar to store your most-worn clothes? It’s an elegant and efficient solution, but make sure not to put too much extra weight on the shelf, just in case. If you’ve got a small apartment and there’s no room in a closet or a separate room to put your ironing board, you might want to consider this tip instead. 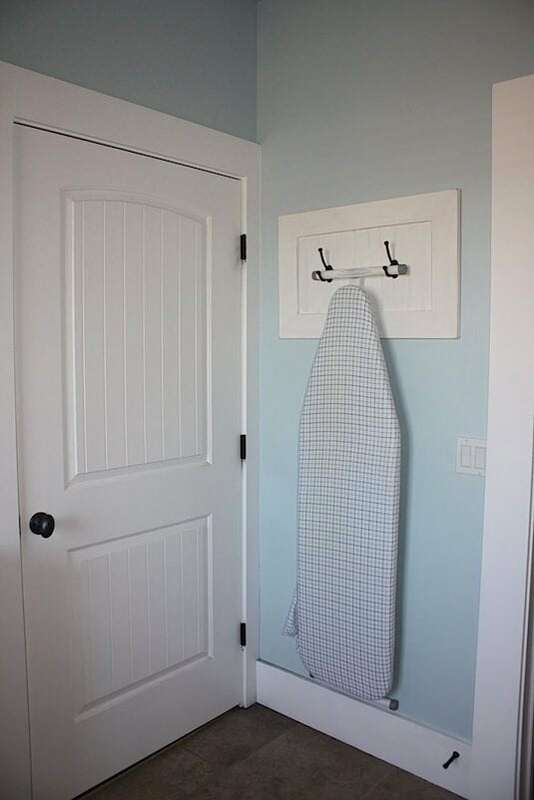 The concept is incredibly simple: attach two robe hooks towards a door, and you’ll be able to hang your ironing board without the clunky thing actually getting in the way. Sneaky? Perhaps. Brilliant? Definitely. Who knew that you could use a kitchen rack in more than one way? 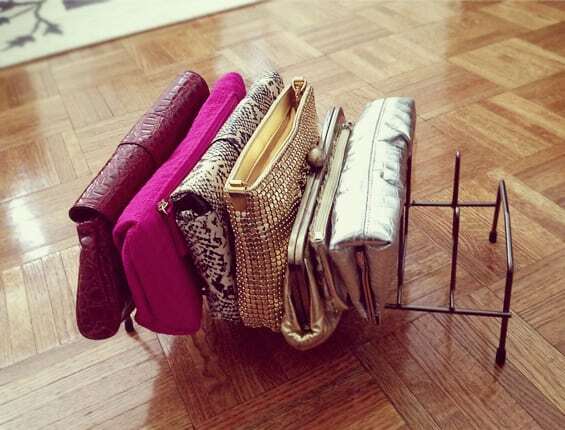 It turns out that they’re just ideal to store multiple purses and it doesn’t take a lot of space. Plus – you can easily check all of your purses upright and pick the right purse for the outfit or occasion right away. The chances are pretty high that there just isn’t enough room in your shower for all of the shampoo and conditioner bottles. The solution? Simple. 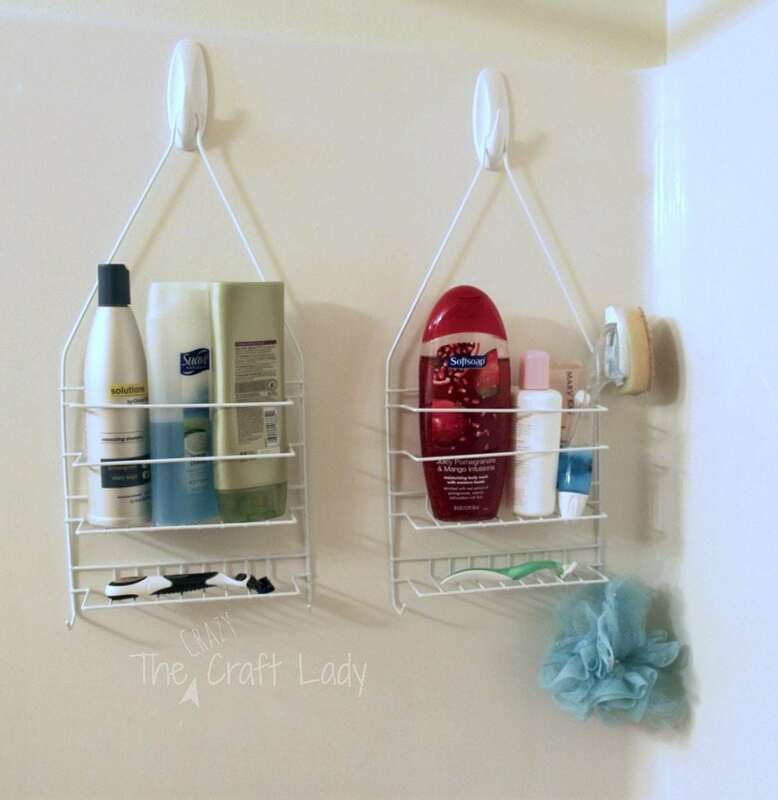 Use a couple of adhesive and preferably water-resistant hooks, that’ll allow you to hang additional caddies in the shower. 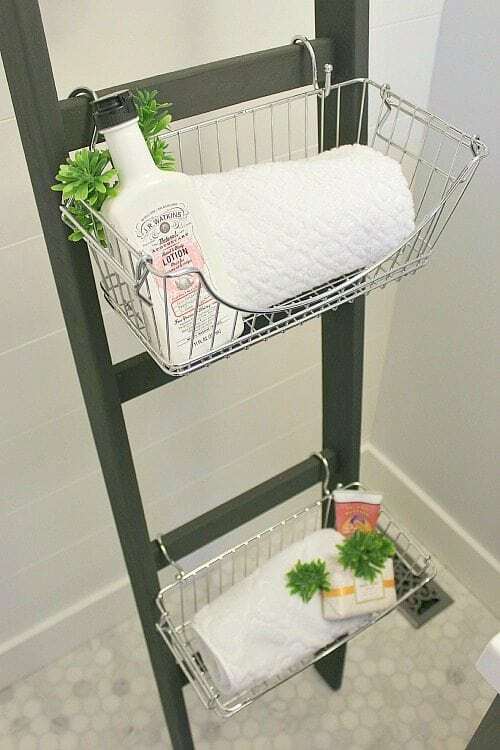 This also works great if multiple people are sharing a shower, as they’ll quickly find their specific bottles on their caddy. A great way to make use of some vertical space! 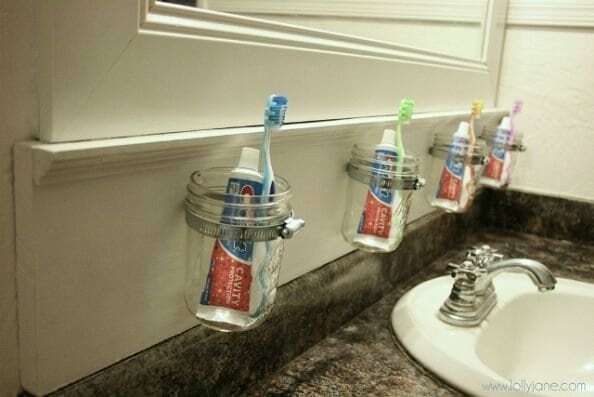 With multiple people in the same house, it can be quite a task to find your toothbrush and your toothpaste, and having holders standing in the bathroom looks a bit cluttered. What if you could hang holders for every person instead? 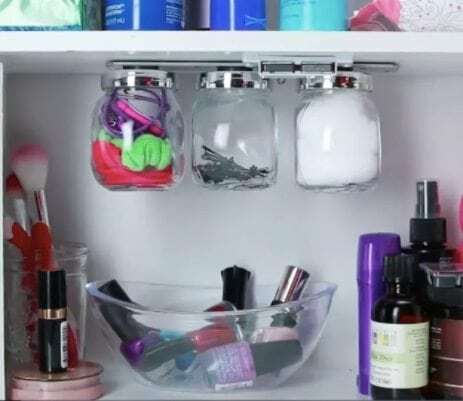 You could even use simple mason jars as bathroom holders. Extra space always comes in handy – but it would be great if those space-saving items are pleasing to the eye as well. 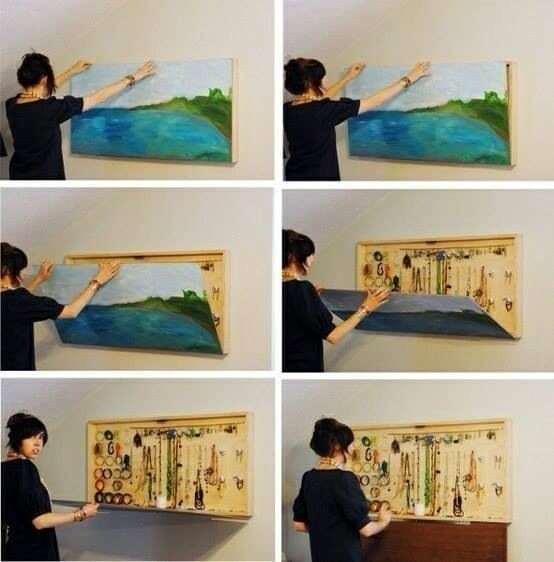 A perfect solution is to put a picture of a painting on a hidden cabinet. Nobody will suspect a thing! Dish racks can take up quite some space, but did you know that there are special corner disk racks to decrease the clutter in your kitchen? They can hold just as much as a regular one, and take up half the space. If your apartment has a staircase, you could definitely consider maximizing the amount of useable room underneath. 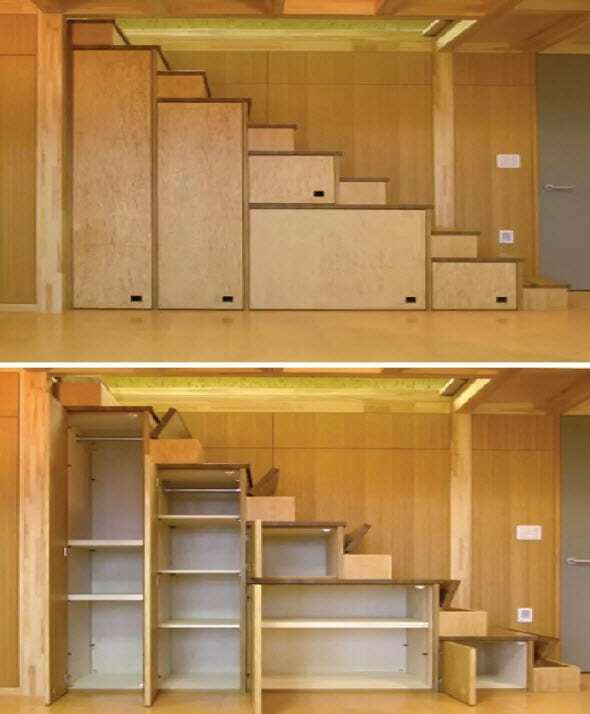 Staircase storage is simple, out of view and doesn’t add any additional clutter. In some cases, there’s even enough room underneath to fit a desk and a computer! Instead of letting the laundry bags just sit on the floor, getting them hooked is the way to go because it saves you a ton of floor space. Ideal if you’d like to collect all the laundry in a cramped bathroom.